Evocative aromas of subtle apricot, peach, red apple, vanilla custard, and a hint of white-blossomed flowers are very pretty right now, yet not nearly as effusive as you might expect: This is a wine with an almost Burgundian sense of reserve, as well as a long life ahead of it, and it’s not showing everything quite yet. (This is a good thing.) The palate, while leaning in the direction of plushness, is structured by much brighter acid than the nose implies. There’s some high-toned green apple in there, an easy-to-miss hint of pastry crust, lemon zest, and plenty of zippy minerality. This chardonnay is already a superb wine, though it should be even better once all its moving parts have a chance to more fully integrate. Taste it now, then lay another bottle down for two years. After that, it should continue to develop for another five or six years. 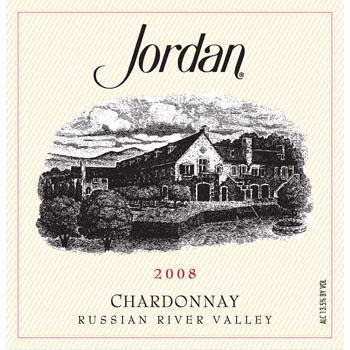 This is a great example of the direction top-quality California chardonnay is headed in, and a fabulous wine already. The bright purple color here leads to a wine defined by fruit that’s just starting to shed its youthful edge: There’s plenty of crushed blackberry, raspberry, and red plum here, but these are complicated by intriguing notes of cinnamon, sweet tobacco, and grilled orange skin. This medium-bodied blend of cabernet, merlot, and malbec is showing well right now, and it should get even better once the remaining oak resolves itself with the fruit. A fun, food-friendly wine. One whiff of this excellent red and it’s clear that it could only have come from Tuscany: The leather, cured black olives, and spice root it firmly in the Tuscan terroir and tradition. Still, it also displays plenty of black raspberry and black cherry fruit, flowers, and a hint of exoticism that reminds me of black bean sauce. On the palate, the wine is impeccably balanced, with mineral-tinged cherries, black tea, cocoa powder, dried blackberries, more flowers, and leather. The tannins, acid, fruit, and earth are in exquisite harmony, and the wine is drinking beautifully right now, though fans of more mature reds could easily hold onto this for another 5+ years. 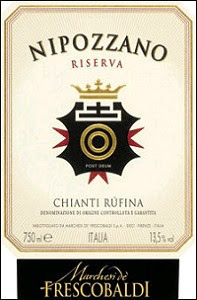 The Nipozzano Riserva 2006 is a perfect example of why Chianti Rufina should be getting a lot more recognition than it does--it’s utterly wonderful stuff.